Robocop from Robocop is 7 3/4 inches tall on base. 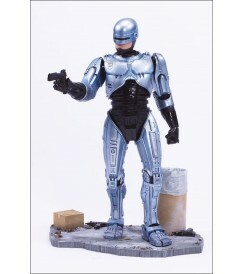 Package includes detailed Robocop figure, custom base and removable handgun. Height: 7 3/4 inches tall on base. Articulation: Neck (ratcheting ball joints), shoulders (ratcheting ball joints), elbows, forearms, waist, hips (ball joints), knees and ankles (piston activated). 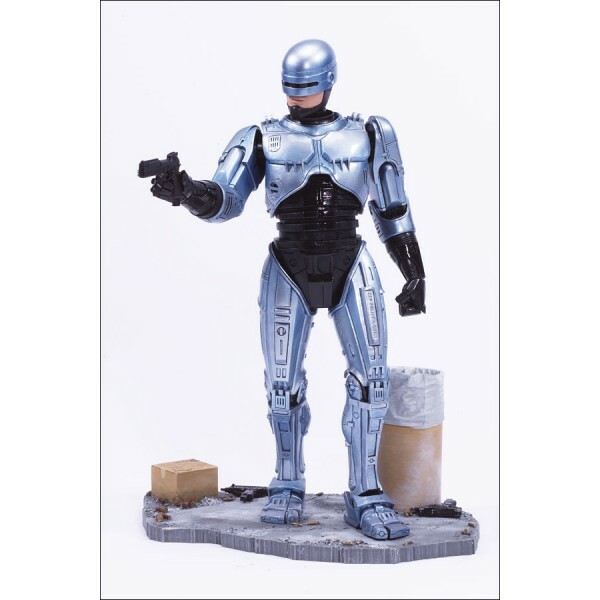 Accessories: Package includes detailed Robocop figure based on his appearance in the classic film Robocop, custom base and removable handgun.